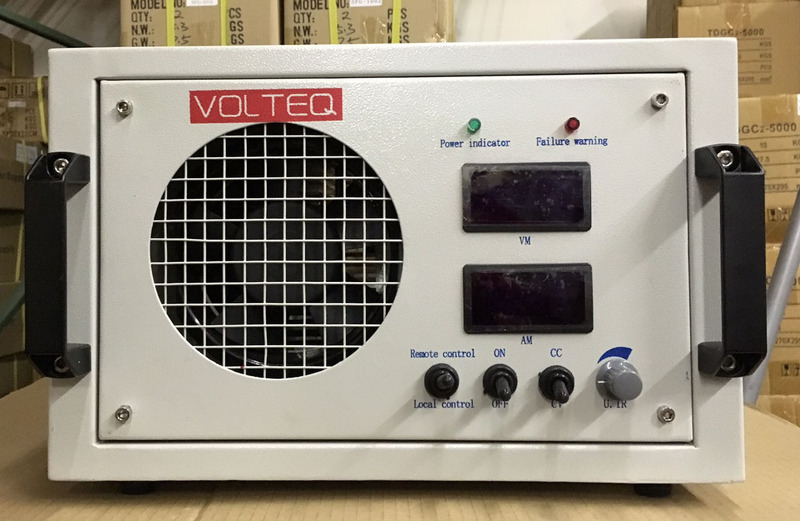 VOLTEQ HY12200EP is a heavy duty commercial grade rectifier, ideal for anodizing and plating applications in commercial metal finishing shops. 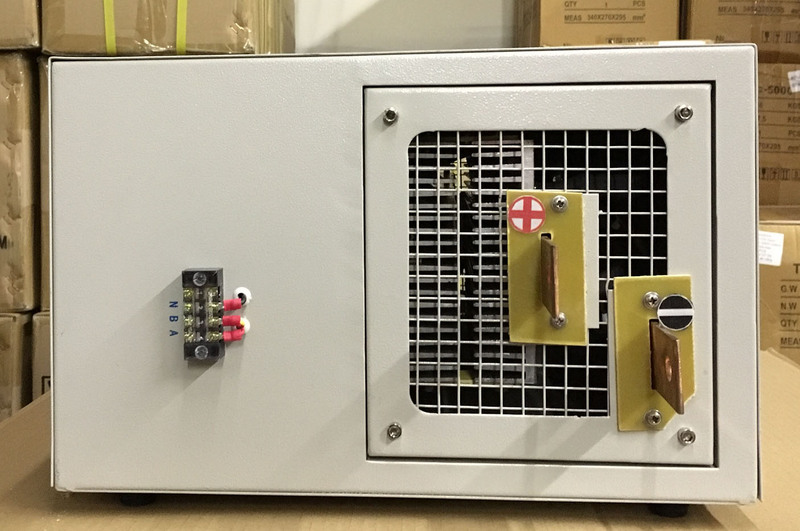 This high quality plating rectifier can be continuously adjustable at 0-12V DC and 0-200A. 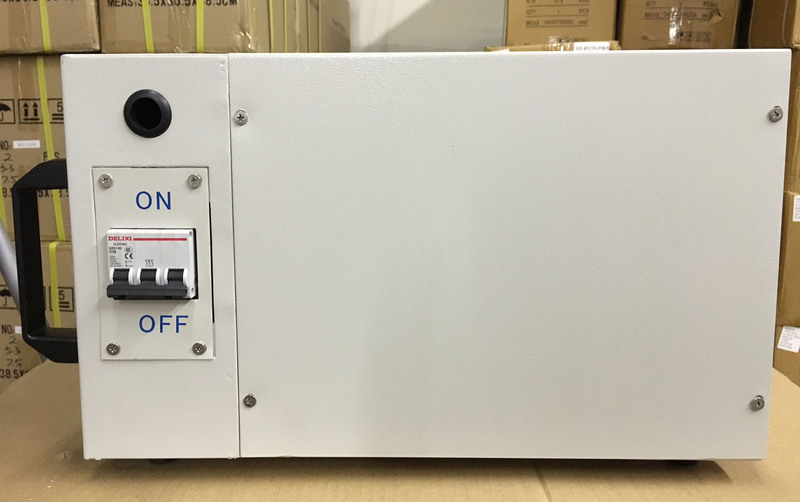 The current requirement on the AC line is 15A at maximum output of 2400W. This model can be controled either with control box or built-in RS485 for remote control. Control: RS485 or local control via separate control box. Compartment design to isolate cooling air from control electronics.